Join host Graphisoft and Abvent on a special live webinar demonstrating Twinmotion and ArchiCAD for advanced yet simple visualizations for AEC. Graphisoft, the leading Building Information Modeling (BIM) software vendor, has announced today a new live, webinar online for 2 February 2016. The focus of the webinar is the introduction of Twinmotion software for ArchiCAD 19. Developed by Ka-Ra and distributed worldwide by Abvent of France, Twinmotion is compatible with every 3D modeling software on the market today, in addition to leading BIM software programs such as ArchiCAD 19. Regarded a great fit for architecture, landscape and urban planning professionals, Twinmotion is considered special because of its ease-of-use and power. The award-winning AEC visualization program Twinmotion is changing the way designers and engineers interact with their 3D models. The event was designed to enhance the students’ understanding of various BIM concepts and scenarios. Recently, 24 university students from three different universities in Singapore, Australia and Columbia had the opportunity to take part in a five-day 5D BIM Immersion and Competition. The immersion featured a number of hands-on training sessions on 4D and 5D BIM concepts using a variety of software such as ARCHICAD and Synchro. For more information on the 5D BIM Immersion and Competition, visit the GRAPHISOFT website. Students in the southern hemisphere have been busy learning what building information modeling (BIM) is all about. 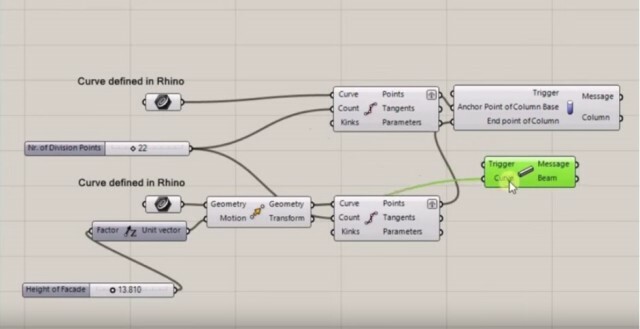 The Rhino-Grasshopper-ARCHICAD alliance lets architects and designers use Grasshopper’s algorithmic design tool with ARCHICAD BIM software using a unique iterative design workflow. With this, GRAPHISOFT hopes to make BIM a more versatile design tool for architects. By using the connection, BIM can be used before building elements are differentiated. This design workflow stands out in its ability to help the user easily explore a large number of design variations. The new tool integrates the traditional design process with a computational design approach.